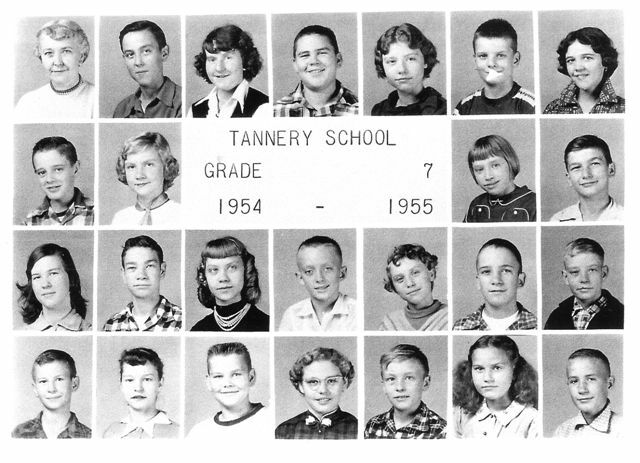 Tannery School 7th. Grade, 1954 - 1955. Teacher was Miss Mary Lee Hollingsworth. © Background 2007 By [ Billybob] All rights reserved.